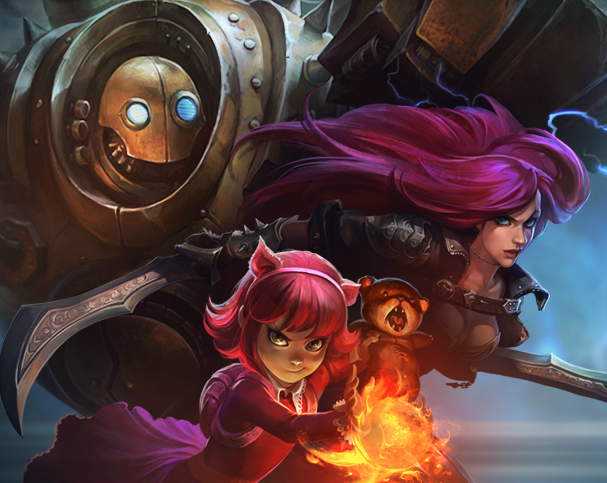 I overall love the new preseason splash screen. Annie is to die for. With that smirk on her face, she almost walks out of the image. I think she is done to perfection. And the huge Blitz over her shoulder, a dull matte metallic color with his enormous fist dominating the background, is just so Blitz. My only nit is that I’m not as thrilled with Katarina. Something not quite right about her face, I think. I just don’t see Katarina. Regardless, I am enjoying it immensely every time I log in.